The fact that almost one third of the agricultural yield is lost every year to pests and diseases speaks of the importance of such a centre. 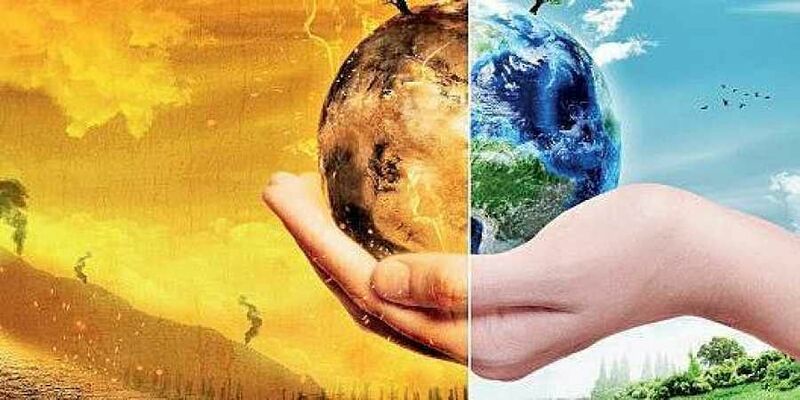 HYDERABAD: As the scientific community battles threat posed by climate change to food security, Hyderabad is now home to country’s first Center of Excellence dedicated to predicting diseases and pests emerging as a result of climate change, in the short-term as well as long-term future. The fact that almost one-third of the agricultural yield is lost every year to pests and diseases speaks of the importance of such a centre. With climate change causing issues like rise in temperatures, erratic rains and increased CO2 levels, the severity of losses due to pests and diseases is expected to only increase. As per an earlier ASSOCHAM report, India loses crops worth Rs 50,000 crore due to pests and diseases. The Center of Excellence on Climate Change Research for Plant Protection(CoE-CCRPP) located at International Crops Research Institute for the Semi-Arid Tropics(ICRISAT), set up in collaboration with Department of Science and Technology, was launched on Saturday. The centre will initially work on predicting emerging pests and diseases of four important food crops - rice, pigeon pea, chick pea and green gram and the cash crop cotton, on which livelihoods of lakhs of farmers depends in the country, including Telangana. Dr Mamata Sharma, Project coordinator of CoE-CCRPP said, “The centre will work on mapping risk areas of diseases and pests, study host-insect/pest interactions, developing weather based plant protection advisories and capacity building of other research institutions, including training masters and PhD students in the skills required for prediction of emerging pests and diseases.” The centre’s role would not be limited to predicting threats to crops due to climate change. It will also work towards issuing advisories to farmers on the short term changes in weather.